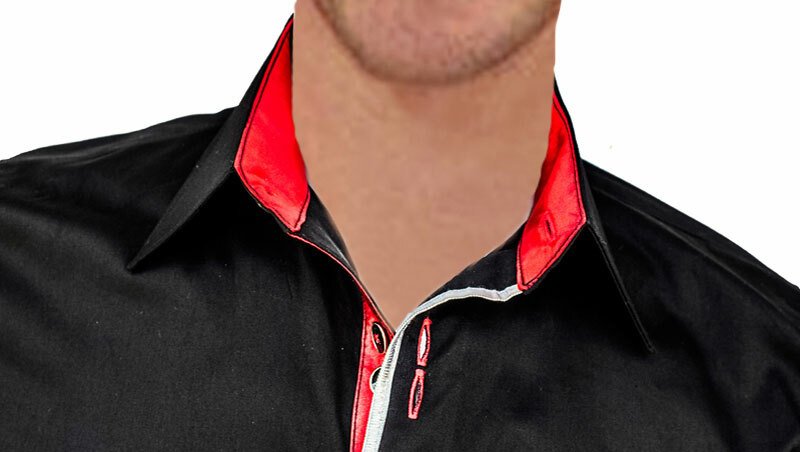 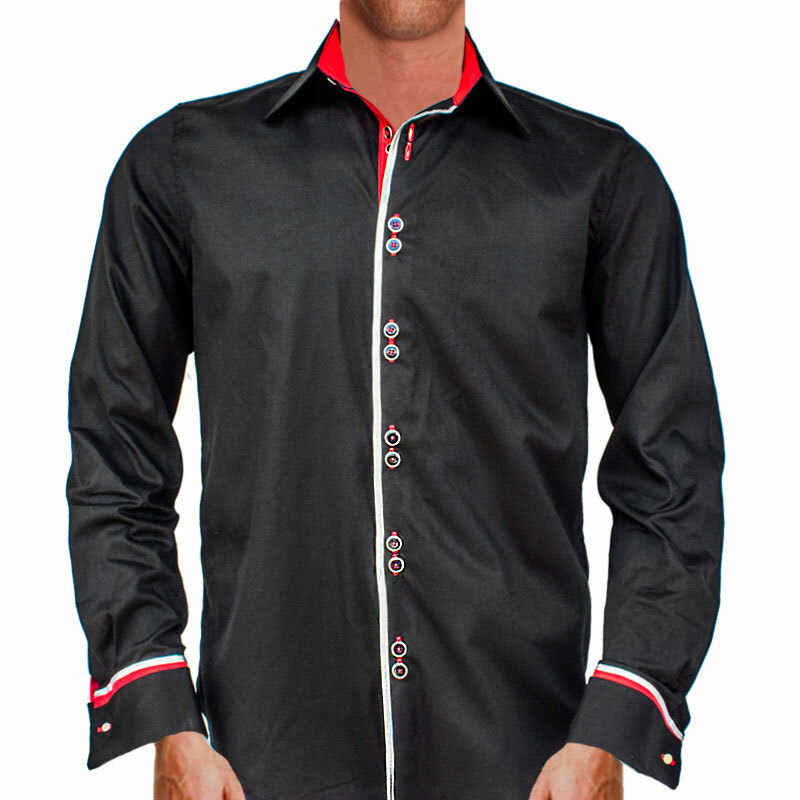 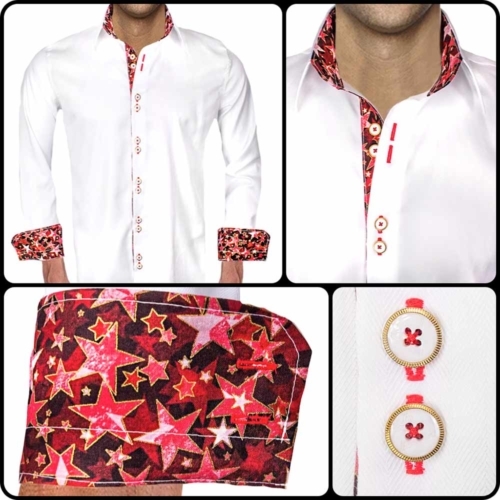 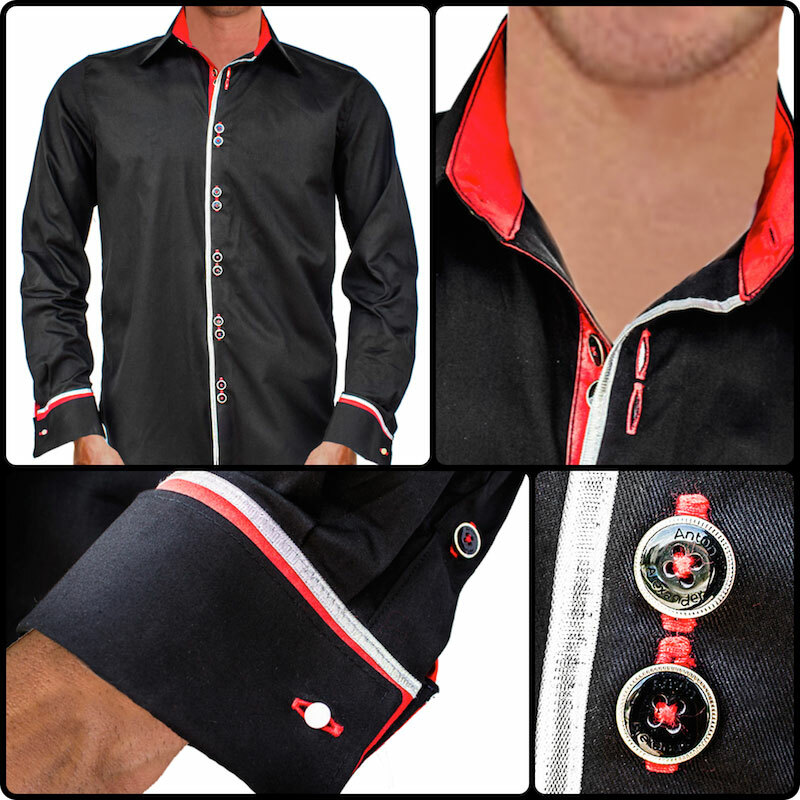 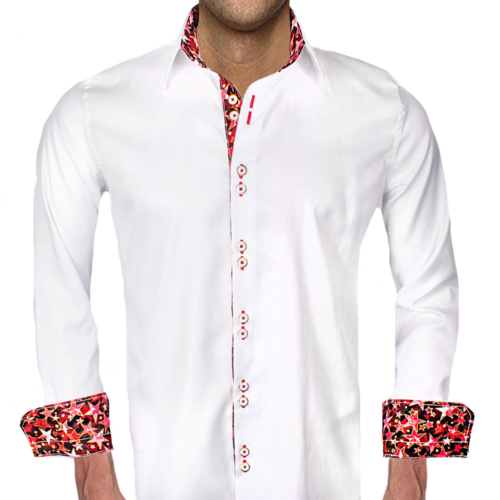 Accent Fabric: Solid red accent fabric handcrafted in the inner collar band, down the button side placket, and inside French cuffs. 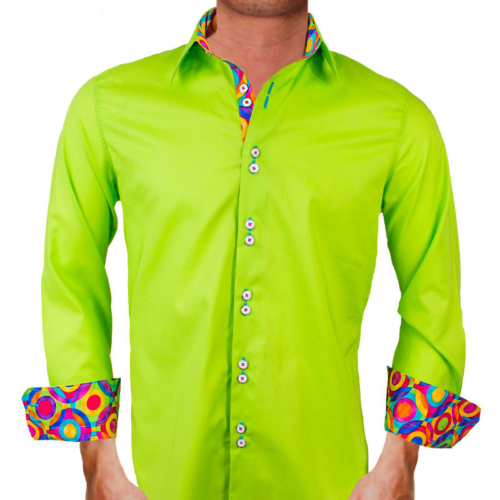 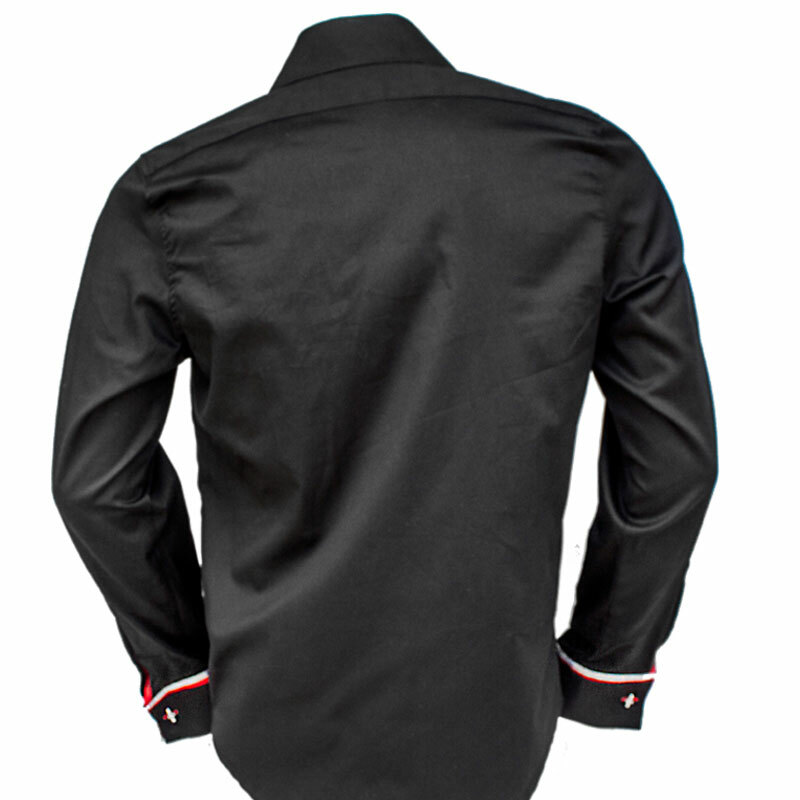 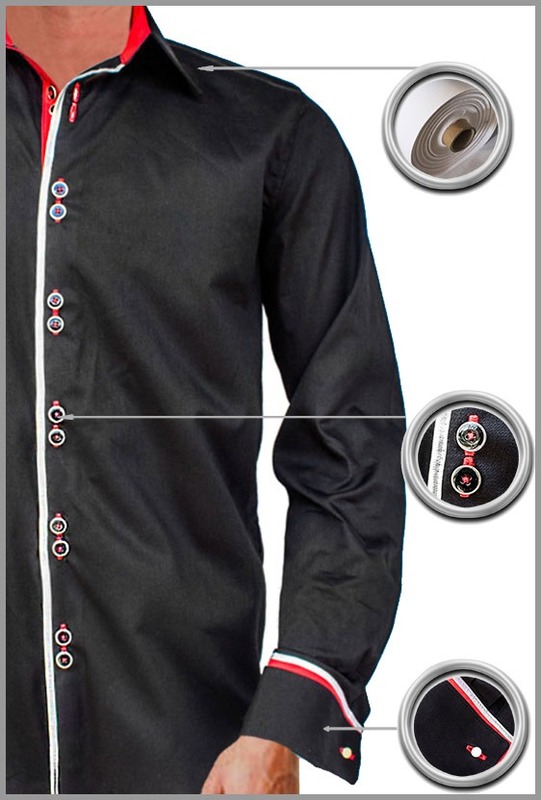 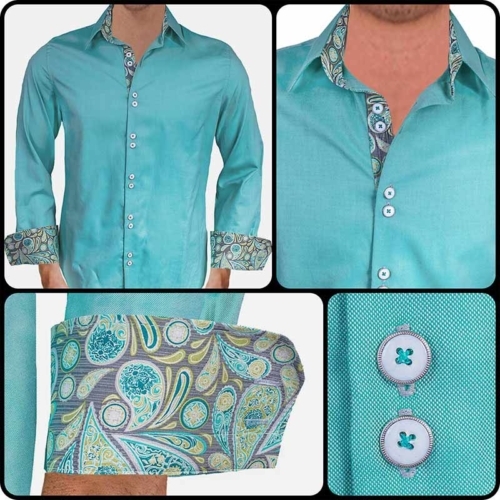 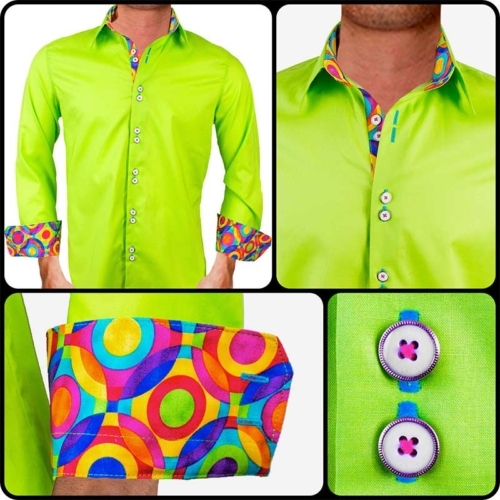 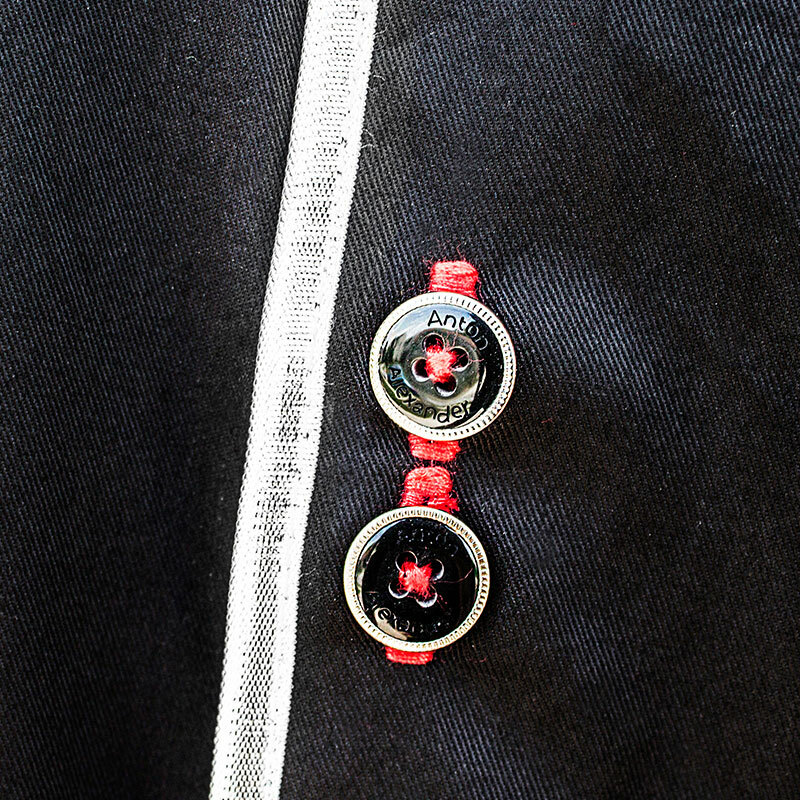 Metallic trim is also used on the button side and on the cuffs. 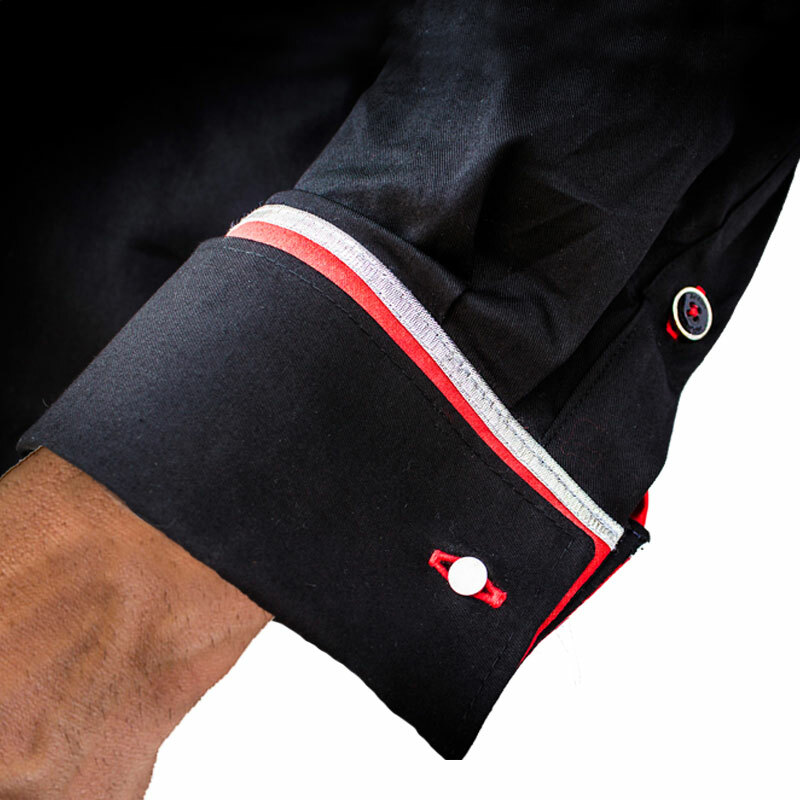 All of our black with red french cuff dress shirts are hand cut manually to ensure perfect symmetry of the fabric for accurate sizing. 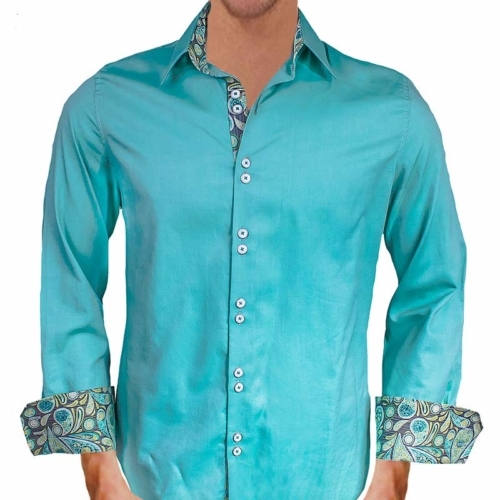 All of our fine fabrics are imported from Italy, England, Turkey, and Japan. 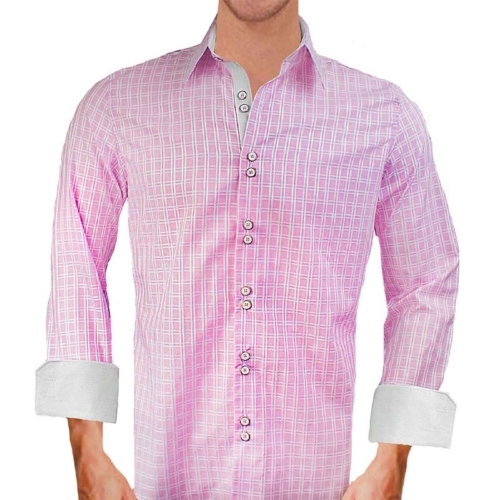 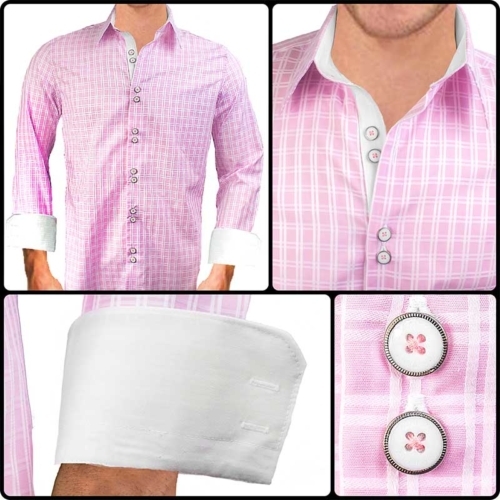 Every single dress shirt is proudly made in the USA.